Categories: Current affairs . Tags:allowances, AM, anti-fascism, BNP, Bobby Sands, Dafydd Elis-Thomas, fascism, Marxist, Nant Conwy, pay, Plaid Cymru, Searchlight, Searchlight Cymru, Wales, Welsh, Welsh Assembly, Welsh Language Board . Author: C.A.N. Simple really. We at Searchlight Cymru are trying to put together a coilition of all mainstream political parties at the National Assembly (and outside) to speak with one voice, albeit from different traditions which is that the politics of hate espoused by the fascist BNP has no place in Wales. Lord Elis Thomas was approached because he was the Presiding Officer of the National Assembly for Wales and was above party politics. A different criticism was that we had two Plaid members and a Tory. Frankly I want to break the chains of the past that has held back anti-fascist campaigning, ie we will do it so long as it is not alongside such and such because we are purer than them. You are of course welcome and entitled to your constructive views and I accept it is not without a few raised eyebrows that we have looked to non-traditional supporters to become equal partners – but that is what we are going to do – because we need to educate and inform more than the usual suspects who know about the BNP and that the campaign is mainstreamed. We get the BNP saying we are a front for the Communist Party, well we are not a front for anyone, Daftydd El, Communists or otherwise. We are just doing our best without the resources of the BNP so build a modern campaign that potential BNP voters will listen to – and that means doing things differently. A welsh Anarchist, knowing the Queen had knighted two Anarchists, advised Dafydd Elis Tomos that the country needed people like him in the Lords, and If he was offered such, he should accept. 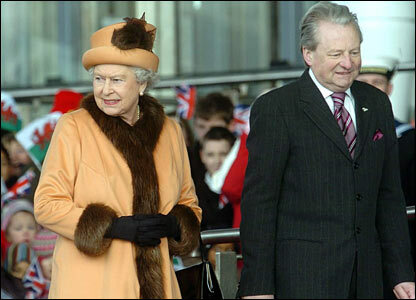 Unfortunately he not only betrayed the Queen, he also betrayed himself. He was thoroughy perverted by a Liberal Democrat who used to travel home with him on the train. He even changed from being a Methodist to being C of E. There was the Queen wanting a good solid scientific Marxist Nationalist to straighten out the House of Lords, but look at what she got! A Backslider! A Conformist Creep! Thanks for taking the trouble to get back with the Searchlight point of view, Darron. I think all across the spectrum of left and libertarian groups there is agreement that we need to build coalitions against the BNP. The question is, what form should these coalitions take? 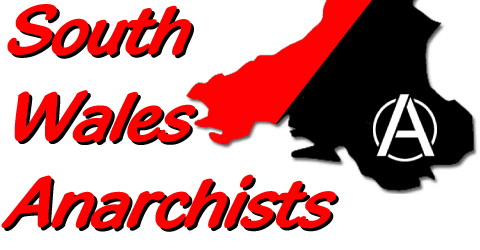 The difficulty anarchists have with a the involvement of MPs, Lords or indeed Presiding Officers in Searchlight Cymru is not about being “purer than thou.” It goes back to first principles: namely, the creation of a “representative” political class separate from any given community leads to that class to act solely in its own interests. This inevitably results in the kind of corruption that Dafydd Elis-Thomas sadly embodies. The real way to go about things differently would be to work with communities and present positive alternatives to fascism and party politics based on direct democracy. It would also involve opposing race hate groups in our workplaces and streets. From an anarchist point of view, this remains the ideal form of coalition building against the likes of the BNP.